In his latest squad profile veteran blogger and journalist with DCU’s College View, Niall Farrell details a talented and ambitious Slovenian squad, a team making their second finals appearance in three attempts. “Relative unknowns” is the term normally used to refer to the Slovenian national team. In a team which relies on mostly players from the lesser lights in the English, German and Italian leagues, household names are few and far between. Underneath this relative anonymity lies a team with a strong spine. Quality, diligence and perseverance are the attributes which define this Slovenian team. With a population of just under two million, Slovenia are one of the smaller nations to have qualified for the 2010 World Cup. Slovenia were the sole unseeded team to emerge from the UEFA playoff system, defeating a strong Russian team after beating the Czech Republic, Northern Ireland and Poland to second spot (behind Slovakia in first). Off-the-pitch problems have dogged Slovenia’s preparation, as a row over tournament bonuses threatens to escalate. Organisation is key in the Slovenian camp, with coach Matjas Kek prizing a strong work ethic in his team. Normally Slovenia play with a flat 4-4-2 formation, with strikers Dedic and Novakovic forming an effective partnership up front. Dedic will commonly drift off to just behind Novakovic, creating space for his strike partner. The aforementioned Dedic and Novakovic, of Bochum and Koln respectively, form the fulcrum of the Slovenian threat. West Brom’s Robert Koren is used as an attacking central midfielder, with holding midfielder Aleksandr Radosavljevic often deployed alongside Koren. Winger Valter Birsa is highly rated in Ligue 1 with Auxerre and poses a real threat down the left flank. The other flank is usually occupied by Wisla Krakow’s Andraz Kirm, although the right side of midfield will be contested by both Mirnes Sisic of Larissa and Dalibor Stefanovic of Vitess Arnhem. The defensive effort is coordinated by the excellent Samir Handanovic in goal. Handanovic has cemented his place as No.1 at Udinese in recent years and marshals his defence with authority. Handanovic’s deputy will be his cousin Jasmin, who also plays in Italy with Mantova. Bostjan Cesar of Grenoble is the leading centre-back in the Slovene back four and is partnered by either Matej Mavric of Koblenz or Marko Suler of Gent. Miso Brecko is regarded as one of the most underrated full backs in the Bundesliga and will start at left back. Bojan Jokic has impressed while on loan at Chievo this season and should start on the other flank. 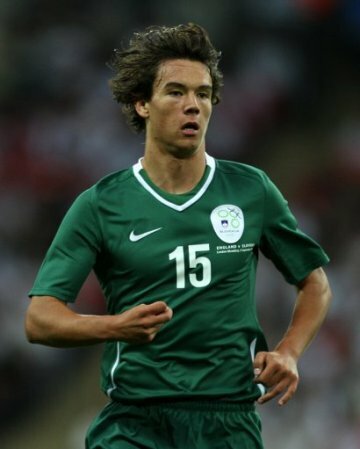 With a solid spine and capable backup in reserve, Slovenia are confident going into a difficult group. England are favourites to top Group C, but the feeling in Slovenia is that they could challenge the USA and Algeria for the runner-up spot. Slovenia have qualified for a World Cup just once since independence, in 2002. Their trip to Japan and Korea was characterised by dissent, as star player Zlatko Zahovic famously rowed with coach Srecko Katanec. 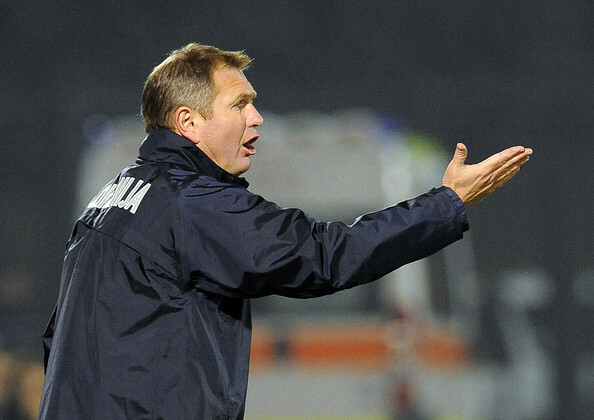 Zahovic was sent home by Katanec after Slovenia were defeated by Spain in their fist match. Slovenia lost narrowly to South Africa and then to Paraguay before returning home. Slovenia failed to qualify in 2006, but the qualification for the 2010 tournament is being heralded by some as a swansong for the Slovenian “Golden Age’ of football. Matjas Kek had a distiguished playing career, both domestically with Maribor and in Austria with GAK Linz and Spittal/Drau. Kek began his managerial career in 2000 with Maribor. In his time with The Violets, Kek won three Slovenian league titles and one Slovenian Cup before departing in 2006. Before taking charge of the Slovenian national team in 2007, Kek managed the national under-15 and under-16 sides. Novakovic is the third-highest international goalscorer in Slovenian history, with fourteen goals in thirty-seven appearances. 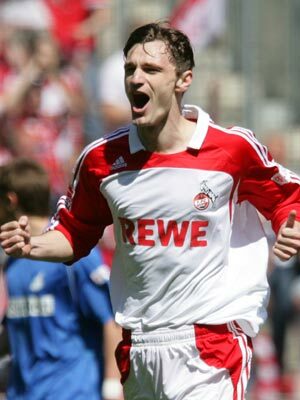 Currently with Koln in Germany, Novakovic earned his reputation as a ruthless goalscorer in Die Geißböcke’s promotion-winning season in 2008 when he netted twenty goals. Previously to 2008, Novakovic was with Bulgaria’s Litex Lovech and several Austrian sides. Novakovic was captain of Koln in 2008/2009 and scored another sixteen goals in their first season back in the Budesliga. This season, Novakovic was involved in a dispute with Koln coach Zvonimir Soldo, but still starred as they finished thirteenth in the league. Regarded as the ‘next big thing’ in Slovenian football, Krhin has broke into the Inter Milan first-team this season. Krhin is a holding midfielder whose distribution and effective use of possession has been singled out for praise by Jose Mourinho. Krhin may not play every match for Slovenia, but his inclusion in the Slovenian squad is a signal of things to come from this young midfielder. Goalkeepers: Samir Handanovic (Udinese), Jasmin Handanovic (Mantova), Aleksander Seliga (Sparta Rotterdam), Jan Koprivec (Maribor). Defenders: Bojan Jokic (Chievo), Marko Suler (Ghent), Bostjan Cesar (Grenoble), Branko Ilic (Lokomotiv Moscow), Matej Mavric (Koblenz), Dejan Kelhar (Cercle Brugge), Elvedin Dzinic (Maribor), Miso Brecko (Cologne), Aleksandar Rajcevic (Koper), Suad Filekovic (Maribor). Midfielders: Andraz Kirm (Wisla Krakow), Andrej Komac (Maccabi Tel Aviv), Rene Krhin (Internazionale), Mirnes Sisic (Giannina), Darjan Matic (Rapid Bucharest), Dare Vrsic (Koper), Dalibor Stevanovic (Vitesse Arnhem), Robert Koren (West Bromwich Albion), Aleksander Radosavljevic (Larissa), Valter Birsa (Auxerre). Strikers: Milivoje Novakovic (Cologne), Zlatko Dedic (VfL Bochum), Zlatan Ljubijankic (Ghent), Nejc Pecnik (Nacional), Miran Burgic (AIK), Tim Matavz (Groningen). The United States Men’s National Team (or USMNT) have long been chided internationally. Often seen as the domain of elementary school children, football has so far failed to capture the imagination of the American people. In Europe and Latin America, observers have scoffed at the American ‘soccer’ and what is perceived to be an inferior league where fading stars end their careers in obscurity. No such accusations can be levelled at the United States as it approaches this summer’s FIFA World Cup. Football is, however gradually, increasing in popularity. US Soccer, the sport’s governing body in the United States have invested considerable amounts of capital and effort in the promotion of the game across the nation and in improving an already formidable infrastructure. There has been a concerted attempt to forget the sorry memories of USA ’94. The last decade has been particularly fruitful for the national side. An unprecedented Quarter-Finals berth was reached in 2002 and since then the quality of American footballer has improved immeasurably. The Landon Donovan led side impressed on the way to the Confederations Cup Final just last year, beating European Champions Spain and taking a two goal lead against the eventual winners Brazil in the final. The team itself is built on solidity rather than flair but in Donovan they have the creative acumen to cause problems for any side. Aided by Premier League players Jozy Altidore, Stuart Holden and Clint Dempsey as well as Glasgow Rangers’ Damarcus Beasley, Donovan is key to the offensive intent of the side. Michael Bradley, 22, one of the youngest members of the squad should play a box to box role for the United States. A dexterous and perceptive midfielder, Bradley has the capability to change games for his side as he has for Borussia Mönchengladbach in the Bundesliga. In defence, Oguchi Onyewu cuts an imposing figure in the centre of the back four and dominated forwards at the Confederations Cup, so much so that he was signed to a three-year contract at AC Milan. Onyewu hasn’t had many opportunities to impress at Milan, partially due to a ruptured tendon which he is currently recovering from. The fullbacks, Spector, Bornstein and Pearce are of varying experience but will be tested by the wingers in Group C. Between the posts, goalkeeper Tim Howard has emerged as one of the better ‘keepers in the Premier League with Everton following a spell of mixed fortunes at Manchester United. Surprisingly strong. The United States have qualified for eight FIFA World Cups, the last five consecutively. In the inaugural World Cup, 1930, the United States won its first match 3-0 over Belgium, following it up with another 3-0 this time against Paraguay. The two victories brought the United States to the World Cup Semi-Finals, still their best record. Despite their performance in that tournament, the United States’ greatest World Cup moment came in 1950. After suffering a 3-1 humbling by Spain, the USA played an England side which included Tom Finney, Stan Mortensen and Alf Ramsey. The semi-professionals of the United States mortified the seasoned stars of England, beating them 1-0 in what is still considered one of the greatest upsets in football history. It was forty years until the USMNT would play in the World Cup again at Italia ’90. They lost all three of their matches easily but were safe in the knowledge that they would have a chance to atone in four years time when the United States would host the 1994 World Cup. Perhaps the most enduring memory of the United States in USA ’94 is that of Alexi Lalas and his Highland-esque hairstyle. The tournament itself is not remembered fondly by fans but marked the return of the United States to the Second Round, courtesy of the ill-fated Carlos Escobar and his own goal. After an ignominious 1998 campaign, the USA reached the Quarter Finals in 2002 after a memorable 3-2 victory over Portugal in the Group Stage and a 2-0 win over border-rivals Mexico in the Second Round. 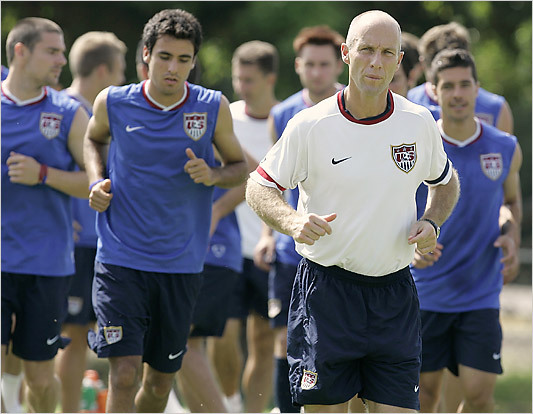 Father of the aforementioned midfielder Michael Bradley, Bob has followed Bruce Arena with distinction since 2006. Bradley has long been involved in the coaching side of football in the United States, having managed Ohio University at the age of 22. Since then, Bradley has managed in Major League Soccer at Chicago Fire, the MetroStars and Chivas USA with varying success.His appointment in 2006 as caretaker coach disappointed the football community in the United States, who had hoped that Jurgen Klinsmann would be Arena’s successor. The fans will have had little to complain about since then as he has overseen the introduction of many young players into his side and engineered a glorifying 2007 Gold Cup venture as well as the recent run in the Confederations Cup. 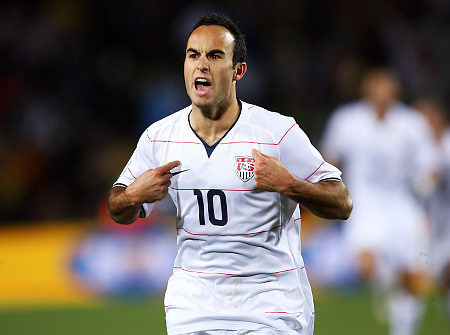 Record goalscorer for USMNT, the always outspoken Donovan has courted media interest in his Major League Soccer career, a prime example being his berating of David Beckham’s prolonged loan spell to AC Milan. Donovan himself was the subject of a similar deal to Europe’s leagues.His spell at Everton was an undoubted success, putting to rest any lingering doubts about his ability. Regarded as one of the greatest American footballers of all time, Donovan starred at the 2002 World Cup where he was named Young Player of the Tournament. He plays as an attacking midfielder or just behind the striker, from this position he has managed a commendable haul of 42 goals for his country. One to watch: Charlie Davies. There are many reasons to award Davies with this honour, his incredible fortitude and resilience in returning from a life-threatening injury being just one of them. In October 2009, Davies suffered multiple injuries including a lacerated bladder, fractured tibia, femur and a fractured elbow. A long road to recovery was launched with his club FC Sochaux in Ligue where he is now in full training once again. He is gifted with blistering agility and pace and will serve as a perfect foil to Jozy Altidore should the two resume their pairing that proved so effective in the Confederations Cup. Algeria, the Fennecs or ‘Desert Foxes’, qualified for this summer’s World Cup after a long qualification campaign that took in three matches against bitter rivals Egypt. In the final match of the group qualification stage, Algeria faced their North African rivals in Cairo with Egypt needing to win by three goals to qualify or at least two to force a playoff. Tension between the two nations date back to Nasser’s influence on the Algerian Civil War following independence from France. Football once again brought out this historical rivalry when Algeria’s team bus was attacked in Cairo, with three members of the Algerian side injured. The clashes in the ancient city led to a major diplomatic incident. To make things worse, Egpyt forced a playoff with a 2-0 victory. The playoff took place in Omdurman, Sudan amid unerring tension, with violence spreading across North Africa and France where Algerian immigrants clashed with police. The atmosphere surrounding the contest was mirrored on the pitch, with little football of any quality being played until Anthem Yahia’s 40th minute volley put Algeria into the World Cup Finals. The Fennecs enjoyed a mixed Cup of African Nations, suffering heavy defeats to both Malawi and Egypt in the semi-final. They did manage to eliminate a much-fancied Cote d’Ivoire side in the Quarter-Final, beating the Elephants 3-2 after extra time. They feature in Group C alongside Slovenia, the United States and England. Realistically they shouldn’t trouble Fabio Capello’s side but a good result or two will see them challenge the other sides in their group for the second spot. World Cup Finals History: Algeria have qualified for two World Cups prior to 2010. 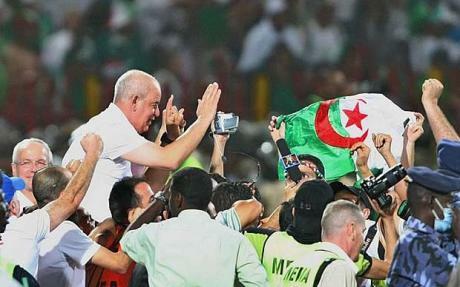 The ‘golden generation’ of Algeria qualified for two consecutive tournaments in 1982 and 1986. It was at the 1982 World Cup that Algeria achieved the greatest result in their history, beating holders West Germany 2-1 in Gijón. Their elimination from the tournament is considered one of the most deplorable moments ever seen at the World Cup. 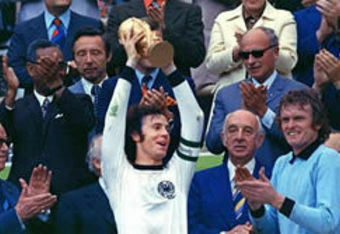 Austria and West Germany appeared to enter into a spoken agreement and played out a 1-0 victory for West Germany which saw both sides progress on goal difference. 1986 was a less impressive outing for Algeria as they managed to score only a single goal, the equaliser against Northern Ireland as they finished bottom of their group with 1 point. s also coached Yemen and teams in Algeria’s domestic league. This will be his second World Cup in charge of the Fennecs, having already coached at the 1986 World Cup in Mexico. He is renowned for his composure on the touchline, save for the memorable elimination from CAN 2004 at the hands of Morocco, when he burst into tears. Star Player: Madjid Bougherra. The Glasgow Rangers centreback has enjoyed a productive season at Ibrox, helping them to the Scottish title. He was named on the Team of the Tournament at this year’s CAN and Rangers’ Player of the Season for 2009. His effective, stern style of defending has earned him the endearment of the fans at Rangers and links to a lucrative move to Barcelona or Liverpool. He should prove a difficult obstacle to negate for the forwards in Group C.
rently playing in the Bundesliga for Wolfsburg. His versatility and pace has seen him play on both wings as well as a creative central midfielder. 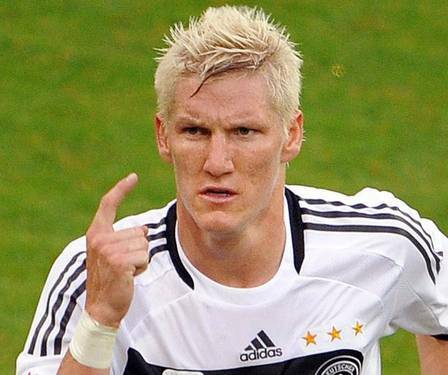 The tumultuous temper he possesses can both inspire his team or alienate him from it, as has been the case at Wolfsburg where he has been out of favour recently following a training ground altercation with a teammate. If he can maintain his composure and focus on qualifying from the group, there is no reason why he cannot enjoy a productive World Cup.